Where in the World Is the Envato Logo? Lost Somewhere in the Indian Ocean. 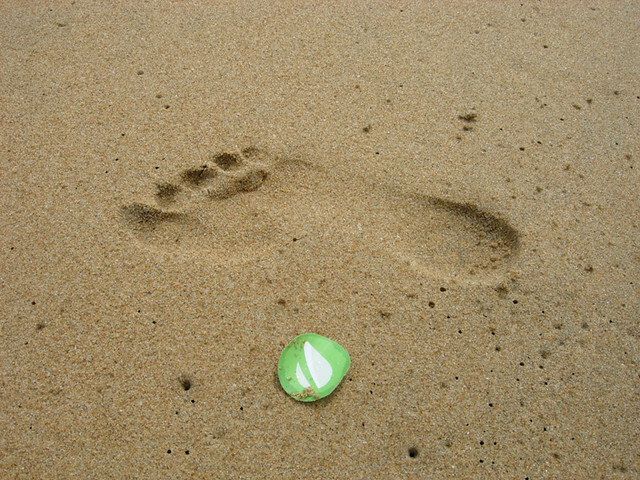 This wet Envato logo was photographed on Marina Beach only moments before it was lost forever in the Indian Ocean. The photographer, Suren, tells the story. “Every photograph has a story behind it, and this picture has one too. I had a different vision for the location of the Envato sticker. But here is the story. “While I was walking over the shores of Marina Beach and I took my phone out of my pocket, the Envato sticker which I had with me flew away. I thought it was over. “Fortunately, a person (who must have been watching my zany antics) picked it up from somewhere and gave it over to me. I took my digicam and was taking a few close-up shots of the sticker. So keep your eyes open. If one day when you’re surfing or snorkeling or fishing you come across Suren’s sticker, let us know!